Samsung Electronics today introduced the new Samsung Galaxy Watch. Galaxy Watch brings the best of the Samsung’s Galaxy ecosystem with long-lasting battery life, LTE connectivity, wellness capabilities and a timeless and personalized design. Galaxy Watch helps users accomplish more with new stress and sleep monitoring capabilities, in addition to offering a more robust line up of style options including three new watch faces in Silver, Midnight Black and Rose Gold, and new customizable watch band colors. 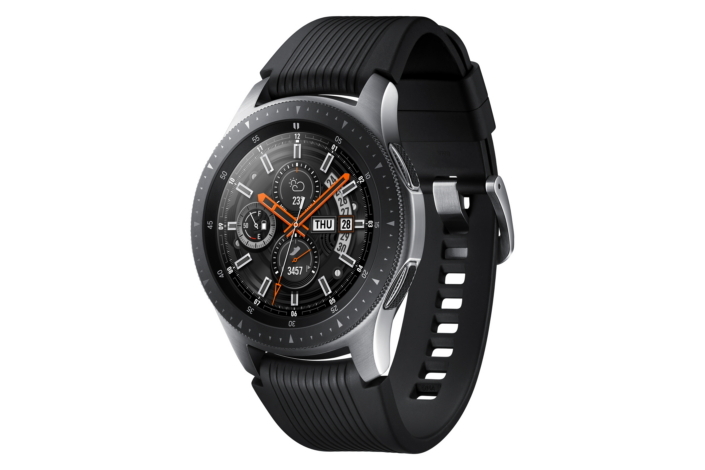 1 Battery life varies by device and usage: Galaxy Watch 46mm (80+ hours with typical usage; up to 168 hours with low usage) and Galaxy Watch 42mm (45+ hours with typical usage; up to 120 hours with low usage). The actual time of battery life may vary depending on the network connection, component, setting, signal strength, noise and many other elements. 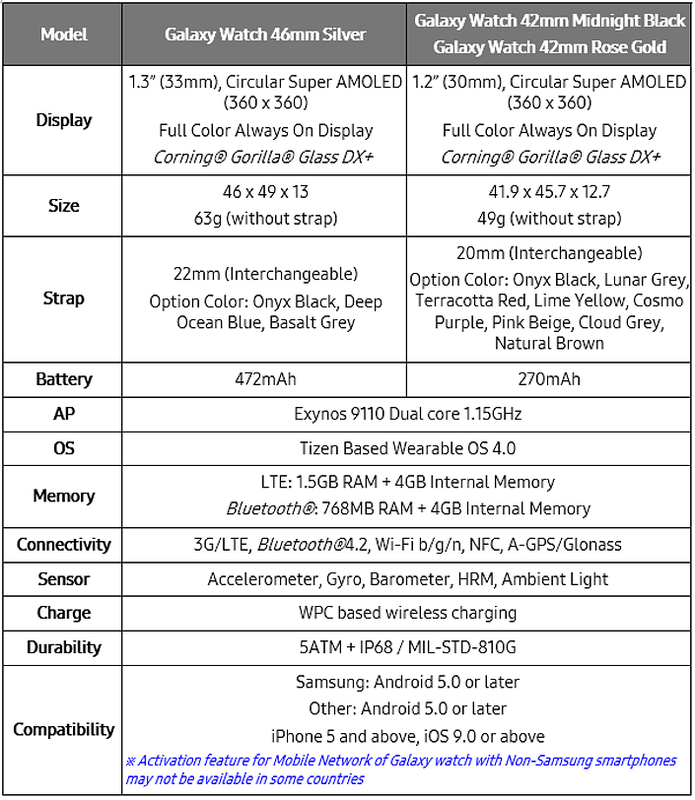 5 Galaxy Watch has an ISO 22810:2010 certification for wristwatches for 5 ATM rating of 50 meters (165 feet) under defined conditions of pressure, time, velocity and temperature. This means that both devices are safe to wear while walking in the rain or showering and may be used for shallow-water activities like swimming in a pool or the ocean. However, Galaxy Watch should not be used for scuba diving, water skiing, or other activities involving sudden temperature changes, high-velocity water activities or submersion below shallow depth. Rinse in fresh water and dry after use in sea water. 6 NFC support only. Service availability may vary by country.